Safaris are all about seeing. As my plane is landing in an airstrip in the Makgadikgadi Salt Pans a limitless landscape unfolds before my eyes. In the following days, I would receive a master-class on seeing. Jack’s Camp is an enclave north of the great Nwetwe pan. It is an oasis of comfort in a private concession. It is a place like nowhere else on the planet. You are in the middle of a great wilderness and have at your disposal a library, a Parisian tea tent, and all the comforts imaginable. Jack’s Camp offers safari opportunities that let you go as deep as you want in your exploration. Chief among them, is walking with the Zu/’hoasi. 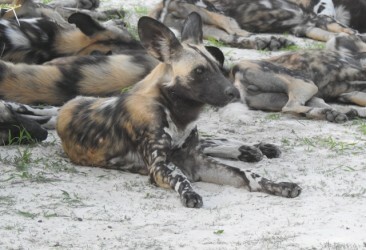 In the usual game drive you admire the scenery and wait for the spectacular animals to appear. Click-click, now you’ve got your picture, time to move on. We go into the bush with three of the Zu/’hoasi. 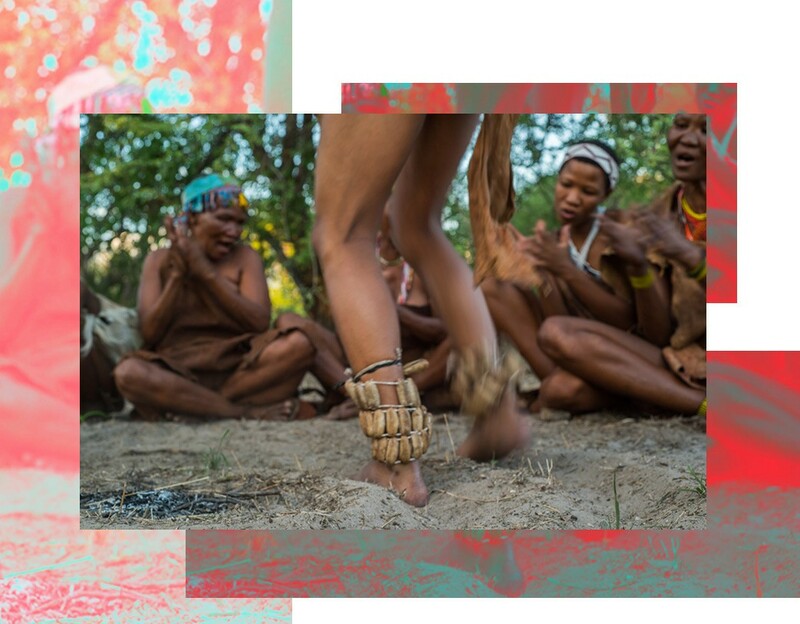 The Bushmen approach nature in a direct way. Our guides point to subtle signs: a bent leaf of grass, some fine hairs in the branches. They perceive smells, sounds and all the subtle stimuli that we have learned to keep out of our consciousness. I am fascinated with their skills. It can even be intimidating. Imagine meeting someone who had twice your senses. Their culture is in danger. Encroachment from the towns and from agriculture has displaced them. Severed from nature and from their sustenance in the wilderness, they are absorbed into the lowest strata of society, relegated to slums. They have been deprived of their essence: self-reliance. Learning from them, I realise that conservation issues are not black and white. One could consider a ban on hunting a good thing. But, what are these hunter/gatherer societies supposed to do then? Because of policy they must resort to farming or an unproductive life in the city. We remove from the land those who would be its greatest protectors! 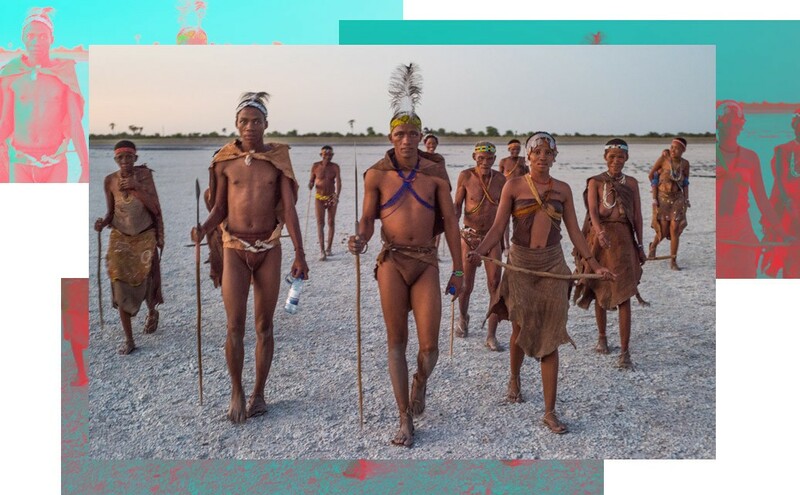 In fact, the Zu/’hoasi have hunted and thrived in this region for thousands of years, achieving a balance with the animals and the environment. I befriend our three guides. N≠i≠ae, Khan≠ae, ≠ishee (the “≠” sign stands for a click). They are about 30 years old each. With the universal language of signs and gestures, we soon find ourselves laughing and they get in a playful mood. Mind, their games are serious stuff. Khan≠ae inserts a stick in a hole in the ground and starts digging, doing it more carefully the deeper he goes. A scorpion emerges and my friend grabs it by the stinger. As if with a tender kiss, he brushes his lips against the body of the venomous creature. At first, the scorpion lashes out furiously, but Khan≠ae keeps his hand steady, like a surgeon. He places it on his palm and the scorpion stays still. This is a test of bravery. You need to be very brave to hunt big game with bow and arrow. Since the weapons of the Zu/’hoasi cannot lethally wound the large animals of Botswana, they extract a neurotoxin from grubs that feed of the corkwood tree. They imbue their arrows with the toxin, which takes hours or even days to act. 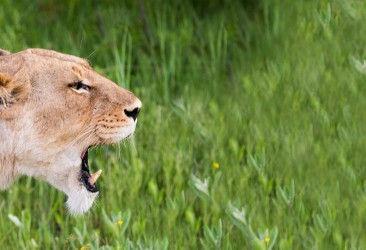 In the meantime, the prey can turn around and maul the hunters, or they sometimes have to follow it to dangerous haunts, where they will have to fend off lions and other scavengers. The prize? None other than life. This type of hunting has nothing to do with shooting animals with a Winchester for sport. ≠ishee is going to show me how to make a fire. He gathers kindling from a patch of dry grass. He carries with him a spindle and a thin board that has round, charred marks. Starting fire by friction is not an easy task. Everything has to be perfect. You have to know the right kind of wood, and you have to be very patient. ≠ishee shapes the kindling to a tight ball, not unlike a bird’s nest, then he holds the spindle between his hands and rubs them together. The point of the spindle spins against the board. At first nothing happens. My friends take turns. There is a bit of smoke but I’m getting restless, being accustomed to conjuring up a flame with the turn of a knob. We trust fire to be there on demand, but that is an assumption that would be deadly in the wild. I start to doubt: what if they cannot start the fire? They continue to talk in their ancient clicking language. They laugh quietly, taking turns at the spindle. I am startled by the wind. It is picking up, only making the task more difficult. A black powder is collecting from the wood into the kindling. There are small and fleeting swirls of smoke, but nothing that resembles a fire. When enough powder has gathered, ≠ishee takes the ball of kindling carefully nested in his hand and begins to blow on it. It looks more like he is whispering something to the dry grass. To me, it could be a spell. If the kindling is too tight, if he doesn’t read the wind accurately, if he blows too hard, he will fail… and the whole world will die of cold. I can feel the excitement growing in the other two. I can feel my heart beating faster. His incantation is working! He now holds a smoky ball between his hands. This is the moment on which everything depends. One last loving whisper, and flames erupt from the smoke. I shudder from the depths of my being: I have just witnessed the birth of something beautiful. ≠ishee throws the fire to the ground, and the others feed it with more grass and small pieces of tinder. The Zu/’hoasi gather around the fire. The men dance and the women sing and clap their hands. They tell their stories which are thousands of years old. My friends are in touch with powerful forces. Their keen senses grow sharper with the movement and the proximity to the fire. 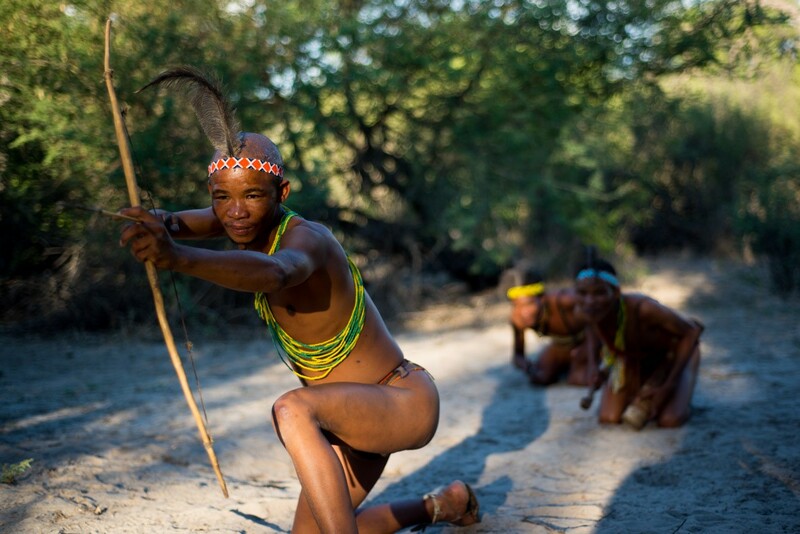 The Bushmen can only exist close to nature, they belong here. The Zu/’hoasi are proud of their way of life and they share their culture freely. Tourism has allowed them to stay true to themselves. I sense that if the great wilderness is to be saved, they will play an important part in it. Spending time with the Bushmen makes you more aware of your surroundings, you develop a state of mind that is more conscious, more alert. I want to venture farther, to test my new powers of observation. So Sandy and I take fat bikes to the salt pans. There is nothing between us and the horizon. We are also dancers around the fire… in our own way. I would keep pedalling, but the sun is setting. We enjoy a sundowner far afield. There is really nothing like being in the open places. I experience a deep sense of peace. We take some time to relax. Jack’s Camp has a beautiful pool under an open tent. The early sunbeams light the tent with dramatic tones of red. The wooden decked floor feels wonderful beneath your feet. I dive into the water but Sandy stops and points in the direction of the plains. Thousands of zebras that have come from faraway places are passing in front of us. The Makgadikgadi hosts one of the largest migrations in the continent. Towards the end of our stay at Jack’s Camp, we visit a family of meerkats. They are still wild but very habituated to humans. For researchers to keep studying them, each morning someone has to sit with them as they go about their routine. There goes one, digging in the ground, searching for scorpions. There, another one is giving chase to a tiny mouse. Meerkats are not large animals, so they must keep wary of predators and survey the horizon from time to time. They choose Sandy as vantage point. Travellers can help conserve all of this. The current state of things demands action. But action without understanding usually results counterproductive. Go on a safari to experience the value of life, not as an abstract concept, but as something you can see before your eyes. 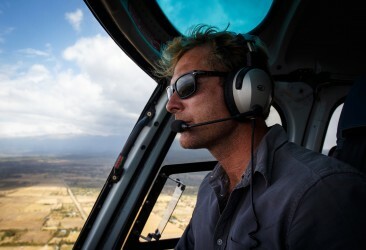 Respectful and meaningful safaris give you a fresh perspective and foster awareness. By coming here you empower those whose very existence depends on the preservation of the wilderness. Come to Botswana, and save the world. As for myself, I spend the last night in the salt pans, stargazing. I take a valuable lesson from my friends at Jack’s Camp: to move lightly through the world, to read the signs with the mastery of the Zo/’hoasi hunters, to value a draught of fresh air as an elixir. There is hope for the great wilderness. The Makgadikgadi salt pans see some of the most exciting migrations in Africa. In number they are only second to Serengeti. The advantage of coming to Botswana is that it is off-the-beaten-path and you get huge expanses of lands to explore with complete freedom. The place to stay is Jack’s Camp, where luxury is blended perfectly with nature to create truly wonderful safaris. Freedom is the key word here. You can ride a quad to the salt pans and just go nuts, you go on a horseback adventure to ride alongside the zebras, you can relax by the beautiful pool, you can go on daily game drives. Better yet, track the animals alongside the Bushmen, which lets you get a wonderful insight into their culture, and it is the purest way to do safari. The zebras leave the Okavango starting December and begin to arrive at the Makgadikgadi just a couple of weeks after the migration starts. They stay near the salt pans until March, when they return to the great delta. 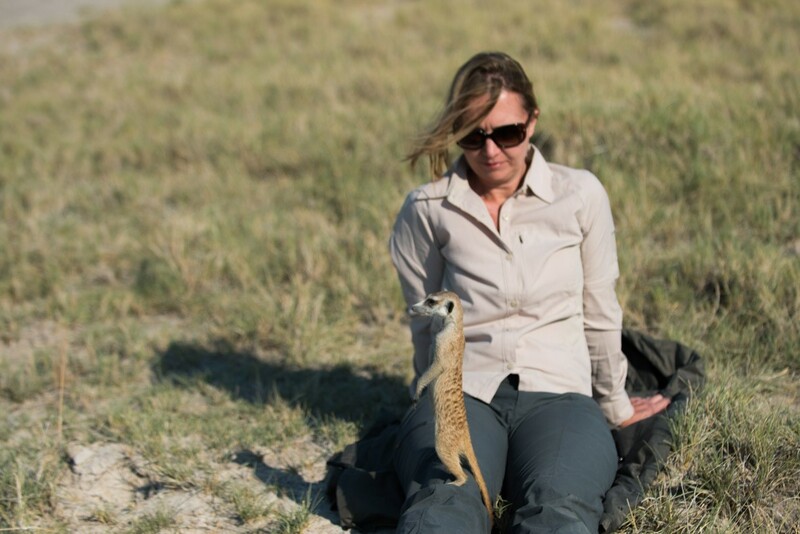 The Makgadikgadi is remote, which is a big part of the charm. To get there you will be doing a lot of connecting, which is why it is a good idea to visit other parts of Southern Africa. To have a seamless experience, see what we have in mind for Botswana, or request a callback and we’ll get in touch.